Are Hybrid Cloud Solutions Right for Your Medical Practice? The primary focus on cloud computing in healthcare is how much it can reduce IT costs. This is an important quality for any institution, but another factor to consider is security. The public cloud offers higher cost savings to the company, but the private cloud allows the company to retain a stronger control over its data. Luckily, these are not the only two options. 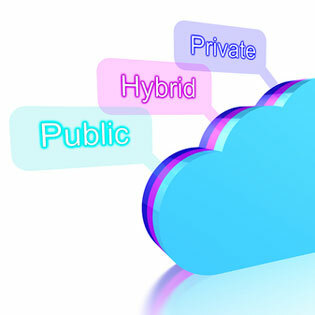 The third option is the hybrid, which is a combination of the private and public cloud structures. The hybrid allows companies to secure their information, but retain the advantage of software on demand. Hybrid cloud solutions, like those provided by TOSS C3, can have your network secure, but still as flexible as you need it to be. Okay, then I Just Need a Private Cloud, Right? No. The private cloud is great for security, but remember, that means everything is stored locally. Most of the information stored in electronic medical records (EMR) is onsite already, but if everything remains onsite and there is a disaster, then you lose everything. Backing up to a public cloud helps to keep your data dispersed and easily retrievable, but not as secure as a private cloud. So it looks like what you need is a hybrid that can do both. The hybrid environment is truly the best of both worlds. It’s important that healthcare providers rationalize applications and create their own cloud-based strategies that take advantage of a private cloud in their organization. It is also important to have the versatility of the public cloud, so the hybrid may be the best solution. The hybrid design makes it possible for unified computing systems (UCS) and servers to seamlessly unify computing, networking, management, virtualization and storage access into a single integrated architecture.